Earn 0.75 contact hours FREE! 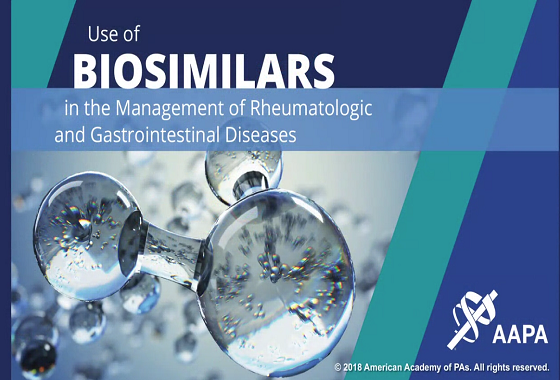 Biosimilars represent new options for the management of patients with rheumatologic and gastrointestinal diseases. The nature of biosimilars and the ways in which they should be used in clinical practice can be confusing to clinicians. An improved understanding of these agents will help to optimize the use of biosimilars. Please login using your NursingCenter.com username and password. Keep me logged in What’s this? What does “Keep me logged in” mean? By checking this box, you’ll stay logged in for 14 days or until you logout. You’ll get easier access to your content, even if you close your browser or shut down your computer. To protect your most sensitive data and activities (like changing your password), we’ll ask you to re-enter your password when you access these services. What if I’m on a computer that I share with others? If you’re using a public computer or you share this computer with others, we recommend that you uncheck the ”Keep me logged in” box. Do you want to learn how to take a CE? Do you need more information? Please email CustomerService@NursingCenter.com.